CentraForce Health looks to expand its presence in the healthcare analytics space with the recent appointment of Jay Kleinman as Managing Director and Chief Revenue Officer. I’m excited to be part of CentraForce Health, which provides the critical intelligence needed to close the gap between clinical analytics and the need for a holistic view of the patient. 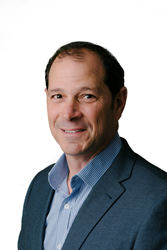 CentraForce Health, a population-centric intelligence provider, is pleased to announce the appointment of Jay Kleinman as Managing Director and Chief Revenue Officer. Kleinman, a healthcare veteran with recent experience at Tenet Healthcare and Conifer Health Solutions, has deep domain experience creating solutions to help clients across healthcare modalities meet their long-term objectives. As Managing Director and Chief Revenue Officer, Kleinman will lead CentraForce Health’s operations and add focus to expanding its presence in delivering healthcare intelligence and population-centric solutions. CentraForce Health’s proprietary platform provides population-centric intelligence that bridges the gap between clinical analytics and everyday patient behavior. Designed for healthcare strategists, CentraForce Health leverages non-traditional data to provide a holistic view of populations through their PopulationCentric Intelligence Platform.